I take comfort in this verse, and am grateful to serve a God who loves us so very much. May you have a blessed day, and weekend! See you sometime next week. Gorgeous! LOVING the colors and the Eiffel Tower!!!!! 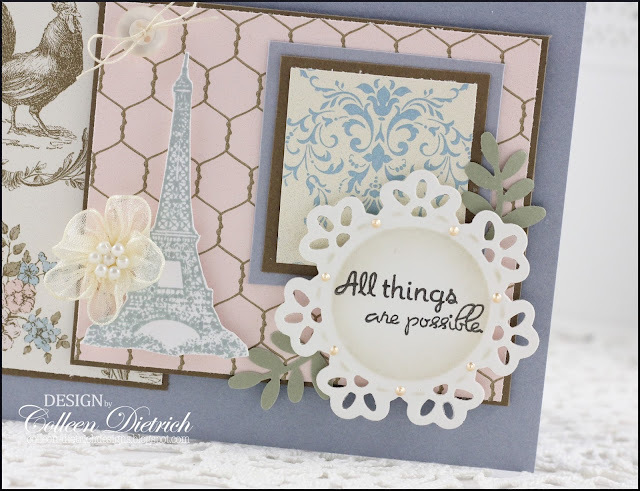 A beautiful combination of papers and colors with your Eiffel Tower. Soothing and uplifting words, too.